The BIG DAY has come and gone. What now shall we do? This Monday happens to be the day after Christmas, which seems ideal to me. Most of us will not work today, as most offices are closed. It’s a great week to assess 2016, and prepare for 2017! If you’ve been around this BLOG for any length of time, you know that moving forward and not focusing on our past is a big deal to me. But as we race toward a new year, let me offer a few things that you need to let go of this week. Things that if released from our hearts and minds will give us a quantum leap toward an amazing 2017! Let go of comparing your life to others. You know what they say about the grass being greener on the other side, right? Let go of jealousy. Focus on being grateful for what you have. Let go of blame. Don’t fix blame, fix problems. Let go of regret. What did you learn? Move on. Let go of anger. Anger can literally kill you and destroy your relationships. Let go of judgement. Leave that to the Divine. 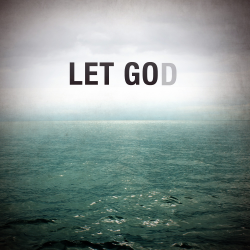 Let go of worries. This is a big deal. To embrace worries is to settle for less. Stop It! Let go of unforgiveness. Holding on to offenses is like swallowing a poison designed for someone else. Outside of calling on the Divine as Lord, I forgive you might be the most powerful words and emotions we can offer this messed up world. I trust that you had a great Christmas with your family, and I’m looking forward to a fresh start in the new year. Let go of a few things. You’ll be so glad that you did!